The LiperTM Device is used for infants with tongue -tie severity. Proper tongue exercises with the LiperTM Device can be used pre and post operatively when there is a need for frenotomy (a.k.a. frenulotomy or frenulectomy). Postoperative Active Wound Management (AWM) with the LiperTM device has been shown to improve post- surgical outcome; therefore helping ensure normal tongue flexibility and functioning while preventing frenulum reattachment and/or scarring. 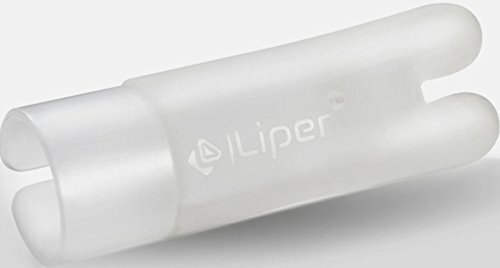 The LiperTM Device can be used with toddlers and young children who are receiving pre and post op frenectomy therapy. The speech-language pathologist and /or registered dental hygienist trained in pediatric feeding and/or myofunctional therapy (COMTM) can use the tongue tool as a part of their AWM program. Ankyloglossia or tongue- tie, happens when the tongue is tethered to the floor of the mouth by an unusually short or thick lingual frenulum. Frenula restriction may also be found in the maxillary and mandibular labial frena and/or the maxillary or mandibular buccal frena. In many cases of ankyloglossia, frenotomy is performed to surgically incise or remove the abnormal membrane. This can be done by a dentist, oral surgeon or otolaryngologist via laser or scalpel procedure. Tongue-tie restricts the tongue from extending and elevating, impairing the baby's ability to remove milk from the breast. Missing the diagnosis of tongue-tie can be associated with: articulation difficulties, Obstructive Sleep Apnea (OSA), SIDS, airway dysfunction, food allergies, dental & facial developmental anomalies, palate abnormalities and myofunctional disorders. The LiperTM Device can assist with assessment, therefore identifying the tongue- tie, and help the breastfeeding dyad move towards the proper medical referral. If you have any questions about this product by TalkTools, contact us by completing and submitting the form below. If you are looking for a specif part number, please include it with your message.